Woodworm infestation causes many problems within a building and should be treated immediately upon discovery. Left unchecked, the problem can become severe enough to cause the timber of a building to become seriously structurally unsafe. The life cycle of a woodworm comprises four distinct stages. 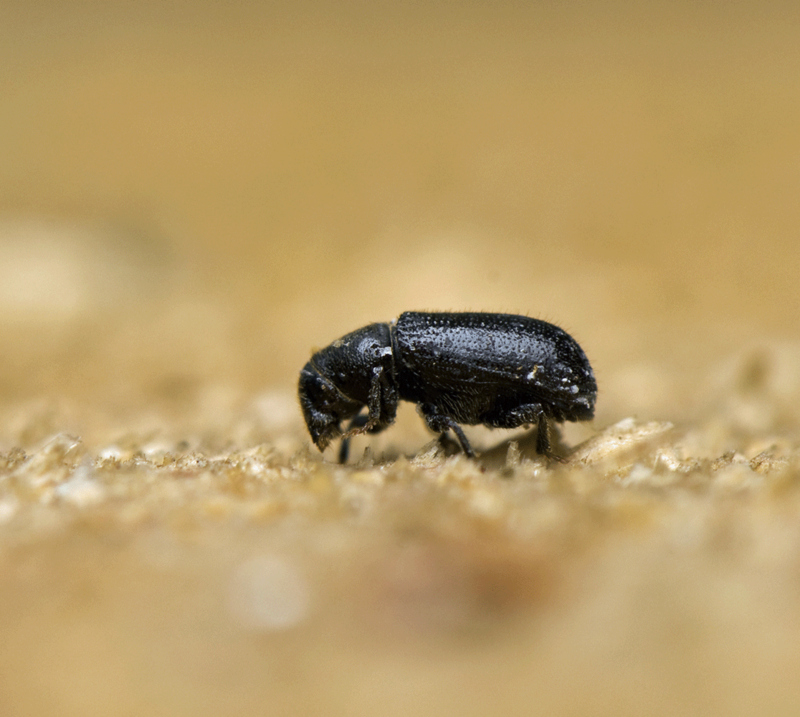 The first stage is the beginning of breeding, when a female woodworm beetle lays her eggs deep into the heart of the timber through tiny cracks. Some weeks later, woodworm larvae hatch downwards from from these eggs, deeper into the timber. 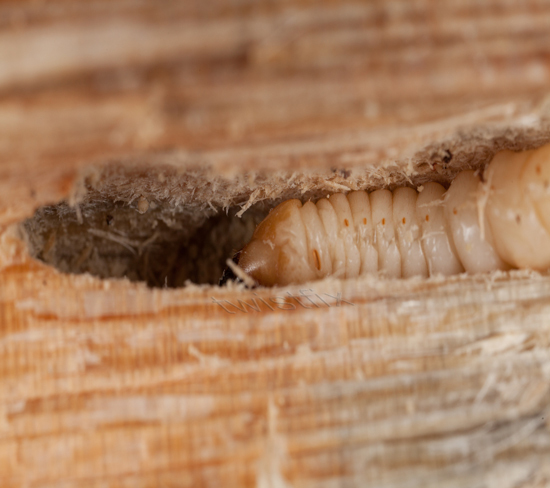 Woodworm larvae have voracious appetites and begin to eat as soon as they are born, continuing to tunnel up and down timber and gradually weakening it from the inside for up to five years. During this time, dust is produced which is known as frass; this is one of the first obvious signs of an infestation. When the larvae have reached their maximum age, they pupate, widening the tunnels they have created by eating and moving closer to the timber surface. 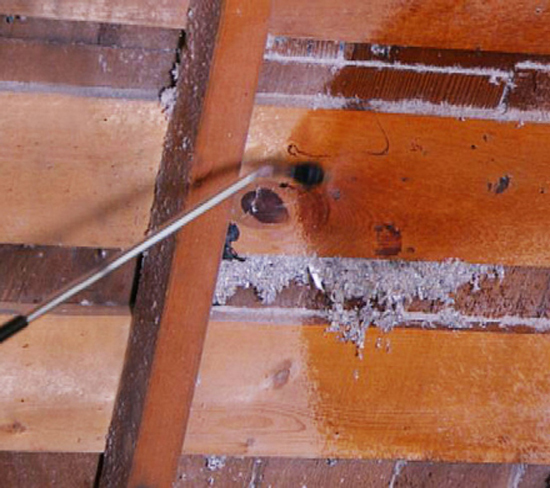 When it emerges, the adult woodworm beetle eats through the final veneer of timber and produces the classic exit hole associated with a woodworm infestation. 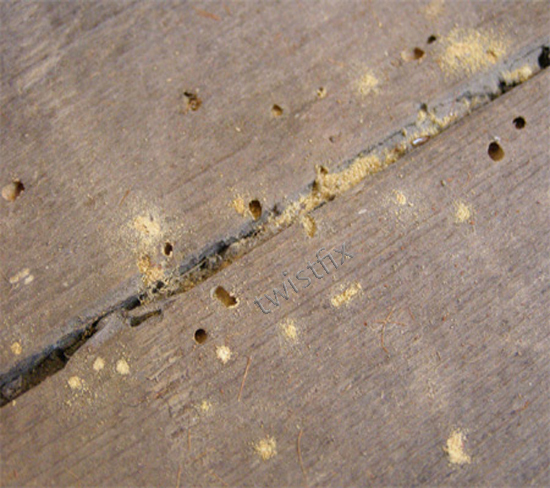 A number of signs can suggest the presence of woodworm. Exit holes in woodwork, similar in size to a hole in a dartboard, can be visible and are often surrounded by frass. The edges of joists and boards may become crumbly and floors and timbers become obviously weakened or damaged. Adult beetles may sometimes be seen emerging from timber or found dead on windowsills or near other woodwork. For the prevention and treatment of woodworm infestations, Twistfix provide a wide range of solutions for timber treatment profes­si­onals. One of the most popular is Wykamol Plus Timber Treatment, a potent fungicide/­insecticide mixture that eradicates wood-boring insects while the timber preservative protects from the effects of fungal wood rot. The formula penetrates deeply into both softwood and hardwood timbers and is suited for pressure injection use for large timbers. Supplied in a strong, 25L container, this wood preservative continues to be popular amongst our network of professional contractors. This product joins our extensive selection of wood treatments that are sold for professional use. Please browse the full range and do not hesitate to contact us for further advice and support. For more information on any aspect of wood treatment or the Twistfix range of masonry crack repair and damp proofing products, insulation fixings, basement tanking systems, cavity wall ties and much more, please contact our dedicated team on 0845 123 6006 or email sales@twistfix.co.uk.